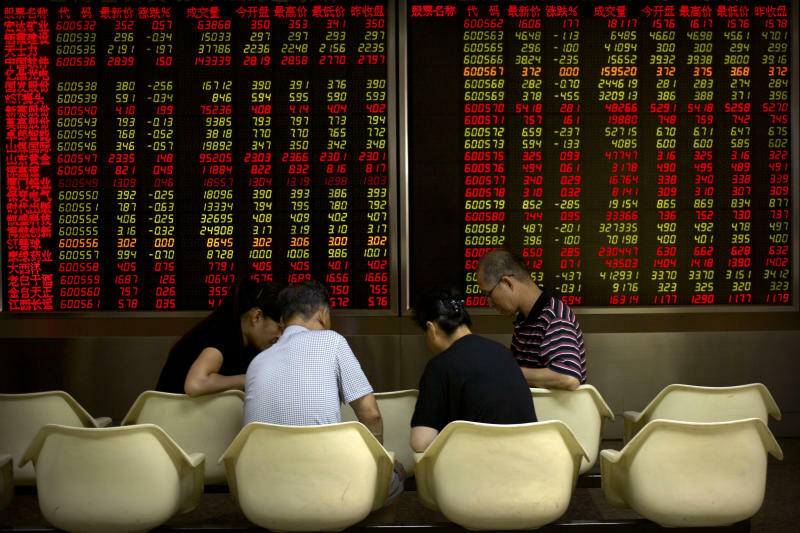 BEIJING (AP) -- Major global stock markets were mostly lower Tuesday as investors waited for a new U.S. tariff hike in a trade battle with China. KEEPING SCORE: In Europe, Germany's DAX lost 0.7 percent to 11,906 and London's FTSE 100 fell 0.7 percent to 7,229. France's CAC 40 shed 0.4 percent to 5,250. On Wall Street, futures for the Standard & Poor's 500 index were down 0.3 percent and those for the Dow Jones industrial average were 0.4 percent lower. ASIA'S DAY: The Shanghai Composite Index retreated 0.2 percent to 2,664.80 and Hong Kong's Hang Seng lost 0.7 percent to 26,422.55. Tokyo's Nikkei 225 advanced 1.3 percent to 22,664.69 while Seoul's Kospi declined 0.2 percent to 2,283.20. Sydney's S&P-ASX 200 added 0.6 percent to 6,179.70 and India's Sensex shed 0.4 percent to 37,764.80. Benchmarks in Taiwan and New Zealand gained while Southeast Asian markets declined. ANALYST'S TAKE: "The protracted expectation for more bad news to set in with the looming tariffs remains the most important factor weighing on markets currently," Jinyi Pan of IG said in a report. CURRENCY: The dollar gained to 111.35 yen from Monday's 111.12. The euro edged down to $1.1572 from $1.1595.